Hermawan Kartajaya, the President of World Marketing Association, is one of the 50 Gurus Who Have Shaped The Future of Marketing appointed by The Chartered Institute of Marketing, United Kingdom (CIM-UK). He is a unique combination between a thinker of strategic business concept, particularly in marketing, and a practitioner. Complimented by his strong ambitions to enhance knowledge, he has becoming a sturdy consultant in his field. Hermawan Kartajaya is to Asian Marketing what Philip Kotler is to Global Marketing, - Warren J. Keegan. The Indonesian-born Kartajaya has studied at the Universities of Glasgow and Surabaya, and attended many Executive programmes at Wharton, Harvard and Insead amongst others. He has also lectured widely, from Switzerland to Singapore. A Fellow of The Chartered Institute of Marketing (CIM), he was President of the Asia-Pacific Marketing Federation between 1998 and 2000. 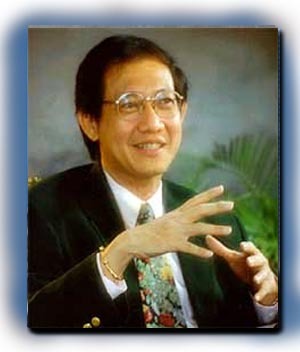 In 2000, Kartajaya co-authored "Repositioning Asia: From Bubble to Sustainable Economy" with Philip Kotler. In it they analysed why the Asian crisis of 1997 occurred, and outlined what the governments and companies of the region could do to develop more sustainably in the future. Kartajayas expert analysis, in-depth knowledge, and strategic thinking, won him acclaim from many of his peers. Al Ries said of him The positioning of Hermawan Kartajaya in marketing is unique. He is a combined product of Western mind, Asia heart and Indonesian soul. Every company must get his advice. 2002 saw him team up with Kotler again in their book "Rethinking Marketing: Sustainable Market-ing Enterprise." His latest international publication is "Attracting Investors: A Marketing Approach to Finding Funds For Your Business," co-authored with Philip Kotler and S. David Young. Since 2002 Kartajaya has been President of the World Marketing Association. He is also President of MarkPlus&Co, the Asia-based management consultancy firm that he founded in 1989. He is the first Indonesian to enter the international league in marketing with his own models and received an acknowledgement from Prof. Philip Kotler, the worlds guru of marketing. He is also the one the few Asians who has been invited to give a speech in the American Marketing Association (AMA) Educators Conference.  Attracting Investors: A Marketing Approach to Finding Funds For Your Business, with Philip Kotler (Kellogg School of Management) and S. David Young (INSEAD), published by John Wiley & Sons, New Jersey, 2004.  Rethinking Marketing: Sustainable Market-ing Enterprise in Asia, with Philip Kotler (Kellogg School of Management), Hooi Den Huan (Nanyang Business School) and Sandra Liu (Purdue University), published by Prentice Hall Asia, 2002. This book is launched at the University of Chicago Graduate Business SchoolAsian Campus, Singapore, September 2002. Currently, this book is being used as second textbook for Marketing Course at Nanyang Business School, Singapore. This book has been translated into several languages.  Repositioning Asia: From Bubble to Sustainable Economy, with Philip Kotler (Kellogg School of Management) and wholly supported by Andersen Consulting Asia Pacific, published by John Wiley & Sons, Singapore, 2000. This book was bestseller in Asia. This book has been translated into several languages.  The 18 Guiding Principles of Marketing Company in Warren J. Keegan (Pace University), Global Marketing Management, Prentice Hall, New Jersey, 1999.  The Strategic Marketing Plus 2000 Conceptual framework for Competitive Audit, Strategy Formulation and Capability Enhancement in Warren J. Keegan (Pace University) and Mark C. Green (Simpson College), Principles of Global Marketing, Prentice Hall, New Jersey, 1997. Adi menikah dengan mantan kekasihnya swaktu di SMA, Stephanie Rosaline C. S.E dan telah dikarunia tiga orang putri, Dyah Ayu Kusumawardani G., Dyah Ayu Kumalasari G., dan Dyah Ayu Permatasari G.